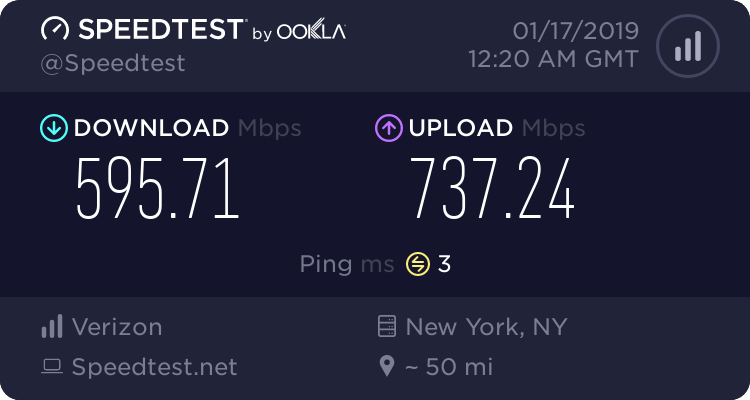 All I can get is 25mbps. And thats on a copper line only six years old. My last place had a 20 year old line and I was getting 50mpbs. The aussie network stinks. Come to America Mate. I will show the very underside of that toilet. I pay very will for 6 up and 1.5 down , which I never get near, and they tell me they are doing me a great service. 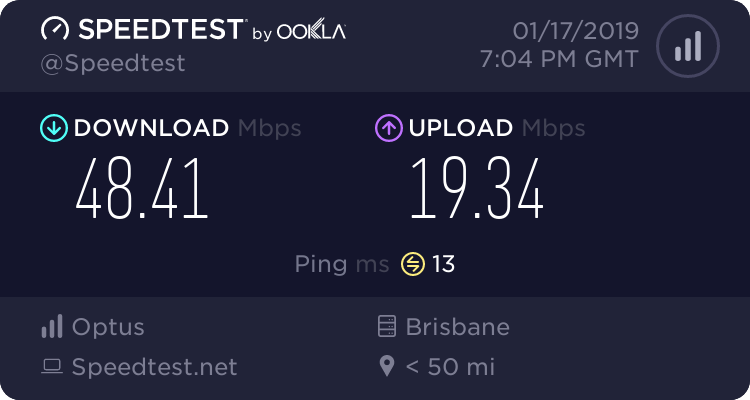 I just tried another server in Brisbane, better ping if you are into that stuff. I can just imagine that speed coming to a screeching halt when it comes out of the node on to the 400 metres of copper line to my place.